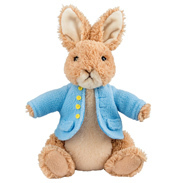 Peter Rabbit partners with Great Ormond Street Hospital. 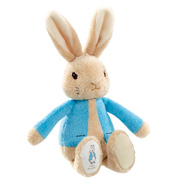 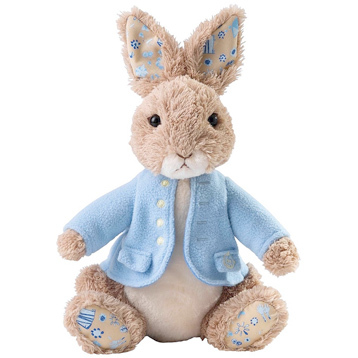 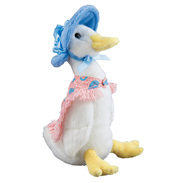 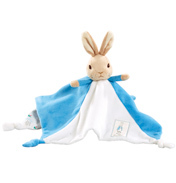 - Enesco has partnered with Great Ormond Street Hospital Children's Charity to create this bespoke Peter Rabbit soft toy. 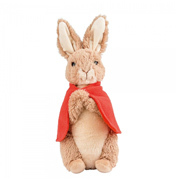 This Great Ormond Street Peter Rabbit has been created using original artwork inspired by the drawings of patients who took part in the hospital's arts programme Go Create, designers have created a very special and completely bespoke fabric especially for the products. 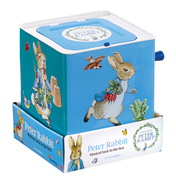 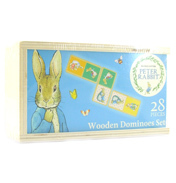 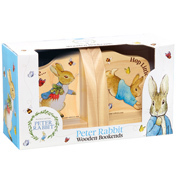 It features carrots and flowers to decorate Peter Rabbit's ears and paws. 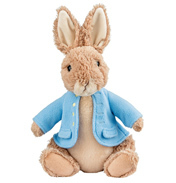 Peter's jacket has also been updated to a lighter shade of blue to match the hospital's official colour during the 20th century, and to reflect the colour of the GOSH nurses' uniform in the late 1800s, further celebrating the staff's expertise and dedication towards improving children's healthcare.